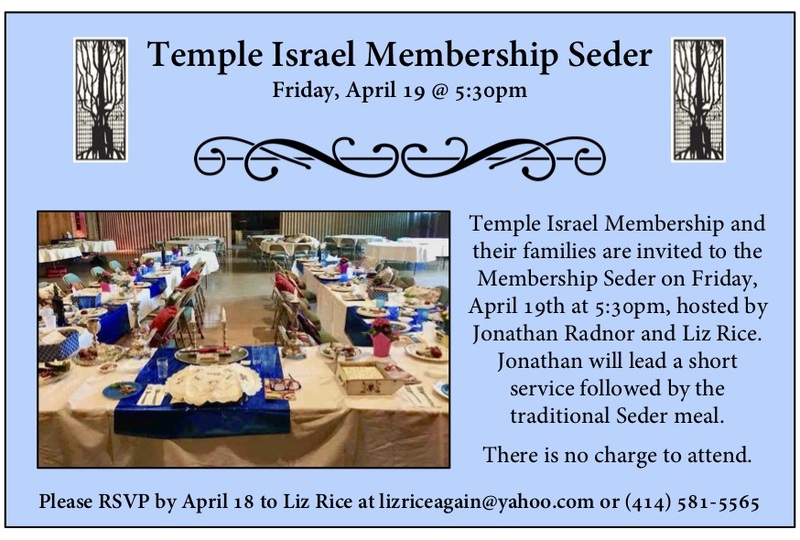 Temple Israel Membership and their families are invited to the Membership Seder on Friday, April 19 at 5:30pm, hosted by Jonathan Radnor and Liz Rice. Jonathan will lead a short service followed by the traditional Seder meal. There is no charge to attend. Please RSVP to Liz Rice at lizriceagain@yahoo.com or 414-581-5565 by April 18.